This is the climbing sport of `Old Blush'. The flowers are identical and like the shrub form, it blooms 11 months out of the year. 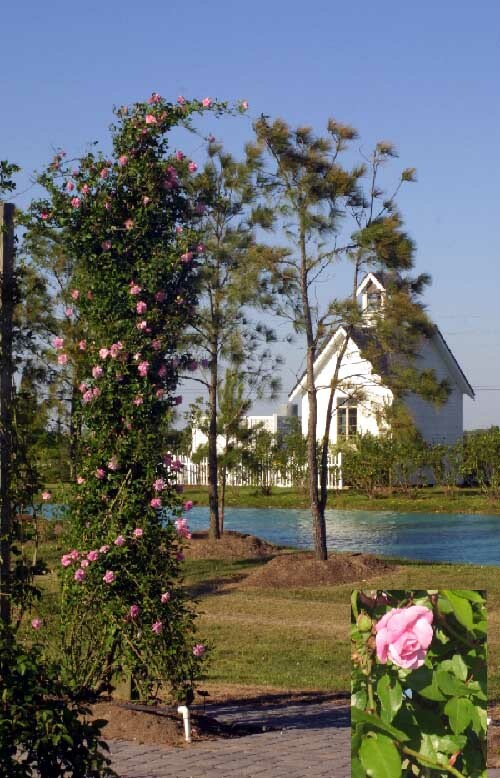 It will grow 20' canes in one season, so be prepared with a sturdy structure! The growth is very vigorous, and it will need to be selectively pruned if you want it to look mannerly. Or you can just let it go for a truly wild look!